It’s been a long while since I have photographed any of my dollfie dreams, as much as I love them I lack the proper space in the apartment to photograph them and it has just now started being nice enough again to venture outside with them. 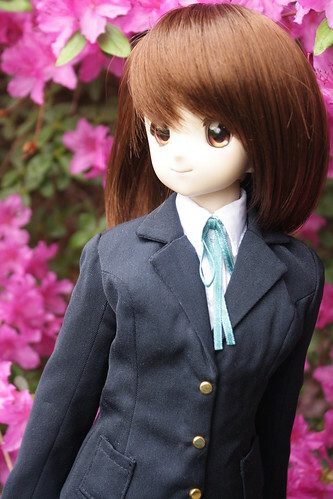 I decided to take my darling little Yui out today as I haven’t taken any pictures of her in a long time. 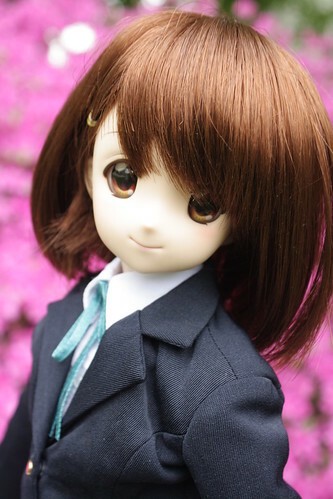 Yui’s actually one of my favorite Dollfie Dreams, I made the conscious decision when she was announced to forgo the grand majority of the flood of figures from the series and instead focus on attaining the most perfect Yui- the DD. I was not able to completely avoid the temptation to collect K-on figures as I now own all the girls in nendoroid form but besides the nendoroids and the DD I haven’t bought any figures/merchandise from K-on. 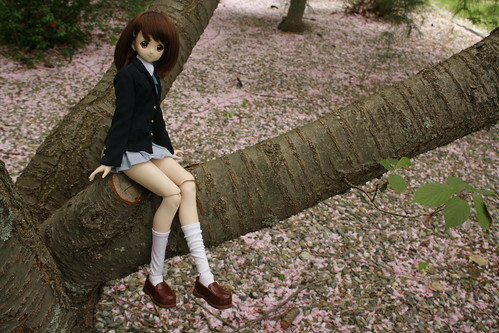 Yui’s not quite as adventurous/fearless as some of my other dollfie dreams she didn’t really seem to care for the tree climbing so much. I’ve had Yui for slightly longer than a year now, last week was actually her birthday. I really love Yui’s face sculpt, she has a very cute and perky nose and an enchanting smile. 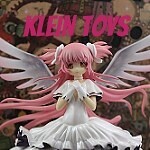 This entry was posted in 2011- 365 Toy Project, Doll, Dollfie Dream and tagged Dollfie Dream, K-on, volks, Yui. Bookmark the permalink. Have you ever seen a Miio DD in person? You know I completely forgot they released a Mio, it seems like all my DD blogmates that own a K-On! DD own this Yui. No, I don’t think I have ever actually seen any DD in person that I didn’t already own actually. Mio’s face sculpt is very hit or miss popularity-wise, I like it because it is kind of unusual but it is a kind of a very set expression.